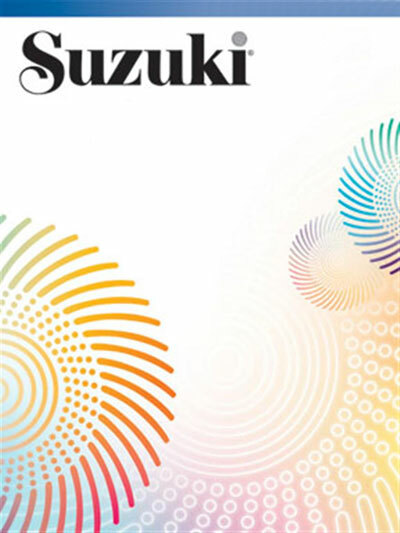 There are many nice pieces selected by Dr. Suzuki in this book, most of them written for two violins. These pieces can be enjoyed by anybody who is above Volume 3. They can be used for sight-reading, or brothers and sisters or friends can get together and play these pieces for fun. They are wonderful for group recital performances, too. Part I Contents are: Minuet (W.A. Mozart) * March (W.A. Mozart) * Aria in F (W.A. Mozart) * Aria in D (W.A. Mozart) * Slowly Ever Onward (Folk Song) * For He's a Jolly Good Follow (Folk Song) * Can You Count the Stars (Folk Song) * Within a Shady Valley (Folk Song) * Sleep, Darling Son (C.M. von Weber) * Down in the Lowlands (Folk Song) * Drinking Song (Folk Song) * Coburger March (German) * Torgauer March (German). Part II Contents are: Aria in G (W.A. Mozart) * Allegro (W.A. Mozart) * Minuet (W.A. Mozart) * Two Polonaises (W.A. Mozart) * Tyrolean Song (Folk Song) * Get Up, Merry Swiss Boy (Folk Song) * Pastorale (G.F. Handel) * Cradle Song (W.A. Mozart) * Poor Orphan Child (R. Schumann) * Minuet (L. van Beethoven) * Minuet for Three Violins (W.A. Mozart).